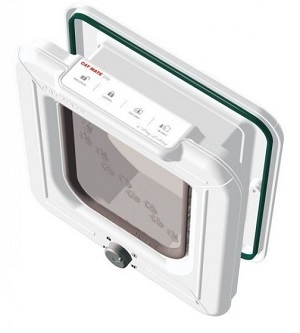 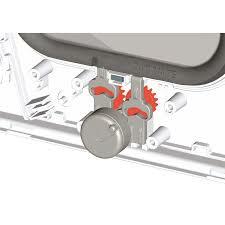 The Four way lock system has a turn knob system to set the flap to In Only, Out Only, Locked, or Unlocked. 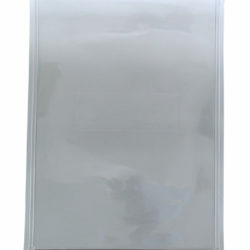 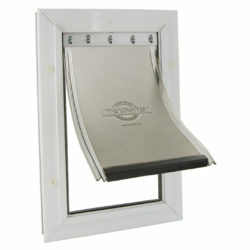 It can mount to Door, Glass, and Wall. 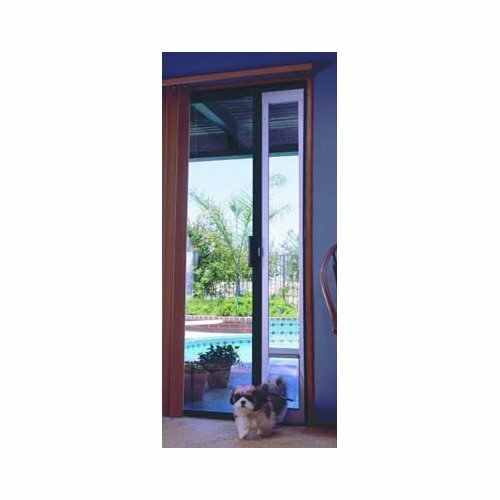 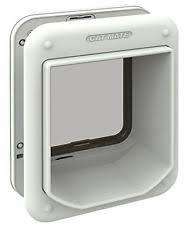 The Cat Mate ELITE door feature robust 4-way locking system. 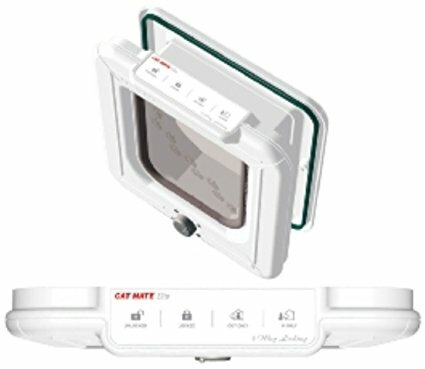 4-way lock that gives you more control of your pets movements as it also allows you to set the flap to Unlocked, Locked, In Only or Out Only which is very useful if you want to keep your pet outside or lock him in at night.